We returned to the cathedral at 6pm for the final rooftop segment of our cathedral tour. 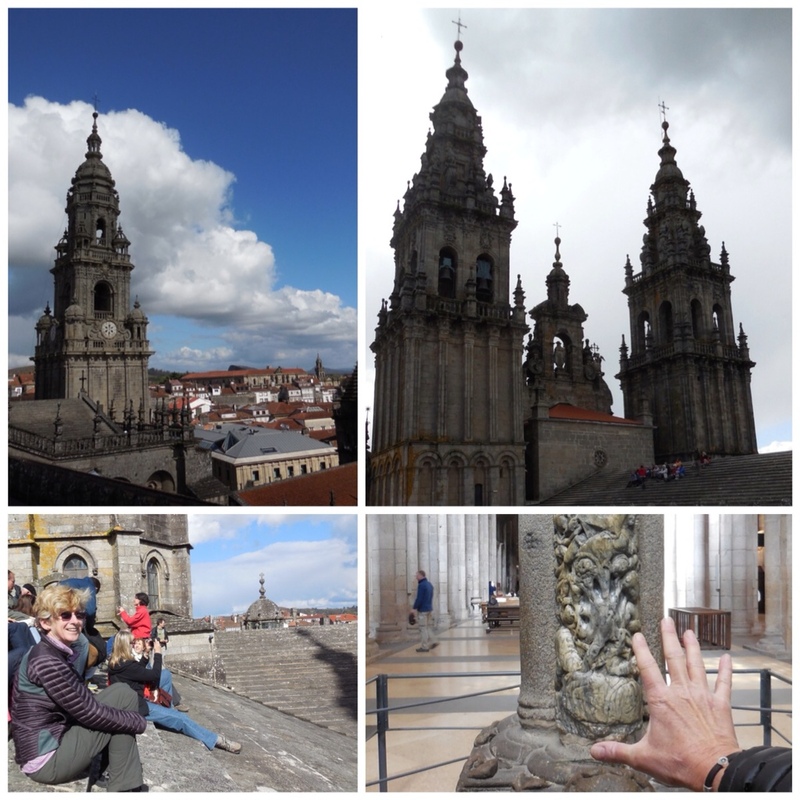 After climbing 105 steps, we expected to be led out onto a courtyard type area atop the cathedral; a place where we could safely take in the view of the various towers and the surrounding Santiago cityscape. The views were truly amazing, but imagine our surprise when we found ourselves walking across what seemed to be five inch thick granite shingles! We all quickly took a seat as our guide explained the history and different architectural styles that comprise this beautiful cathedral. The rooftop tour is not for anyone with a fear of heights. Pilgrims are no longer able to place their hand in the Tree of Jesse, the central column of the Door of Glory. If you look closely in the bottom right photo, you can see the imprint of the hands of millions of Pilgrims who have arrived in Santiago.